Hello everybody! It's been a bit of a tough last few months for PC building, what with GPU and RAM prices skyrocketing. 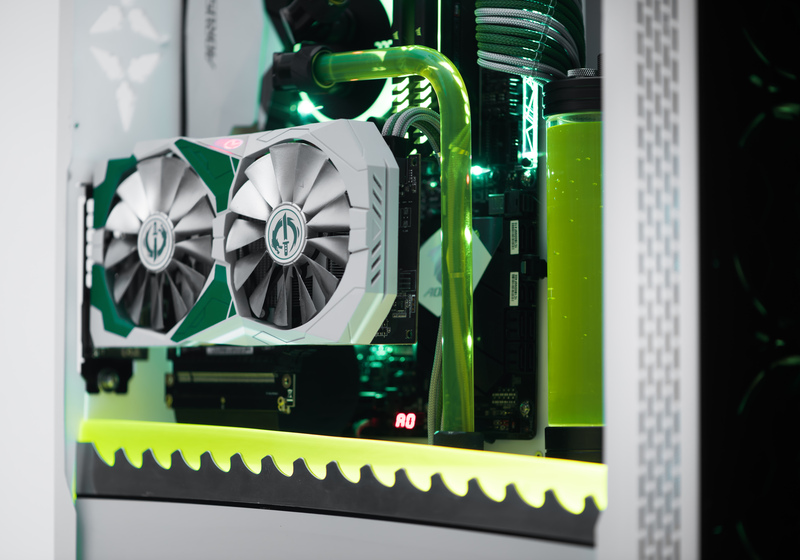 So to help you out, we teamed up with the folks at AMD, Thermaltake, Gigabyte, and Asus to bring one lucky UK reader the chance to win a fully modded and water-cooled rig this Easter! 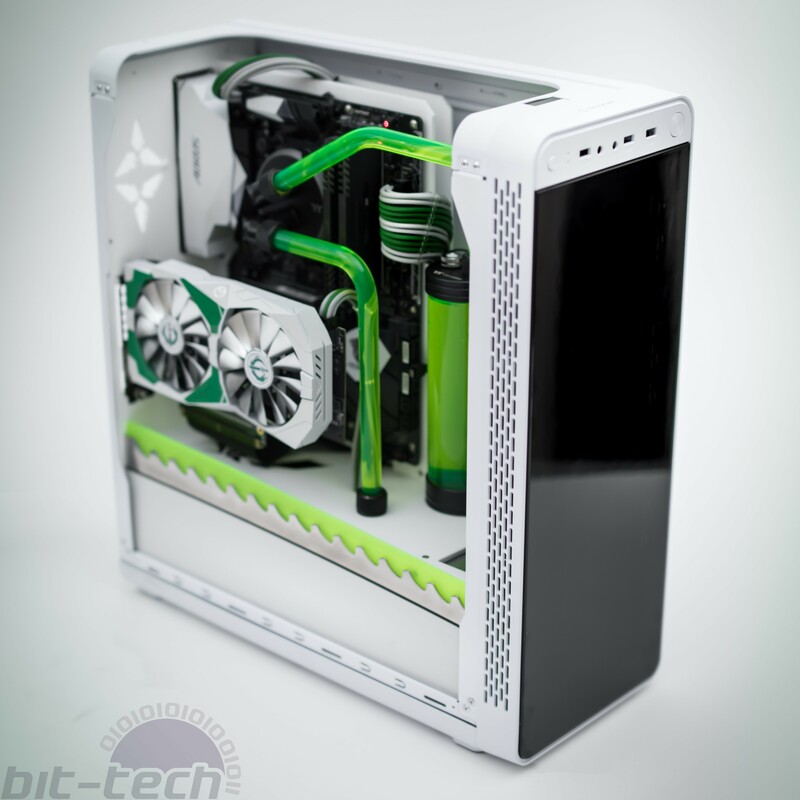 Themed around the character Genji from popular first-person shooter Overwatch, this rig sits in a View 27 chassis that's been completely remodelled internally. 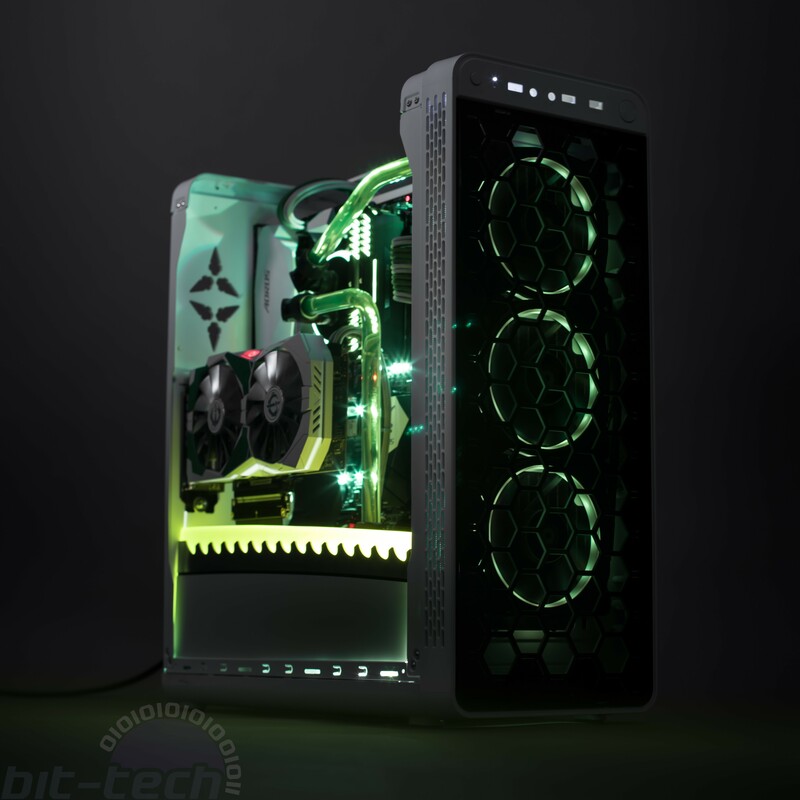 The inside was gutted and replaced with a custom, matte white acrylic setup, complete with a glowing 'Dragonblade' that sits proudly in front of the power supply cover. 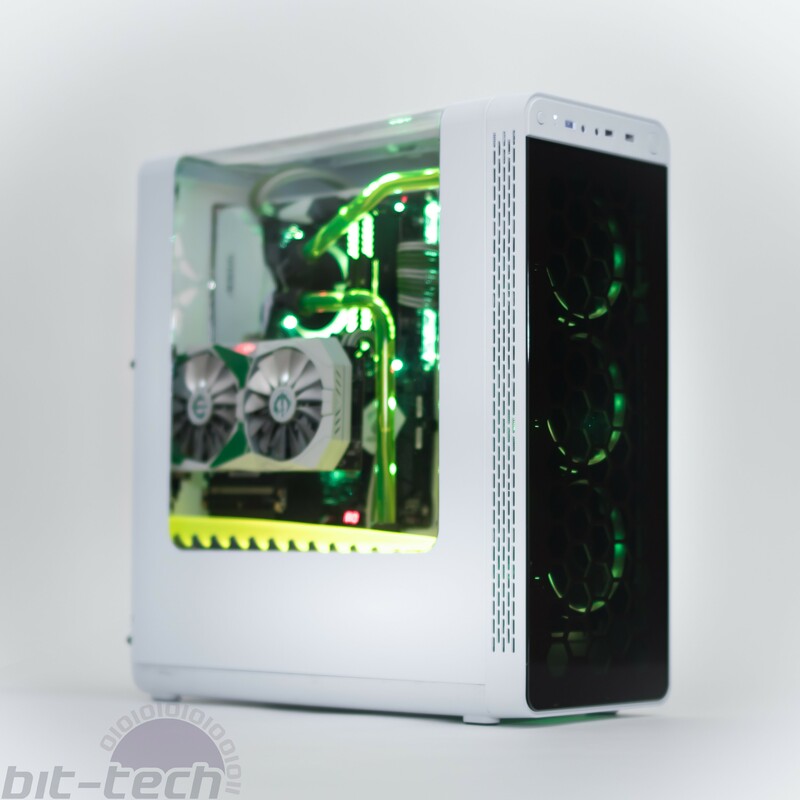 As you would expect, it comes complete with a host of RGB options, should you wish to use them. 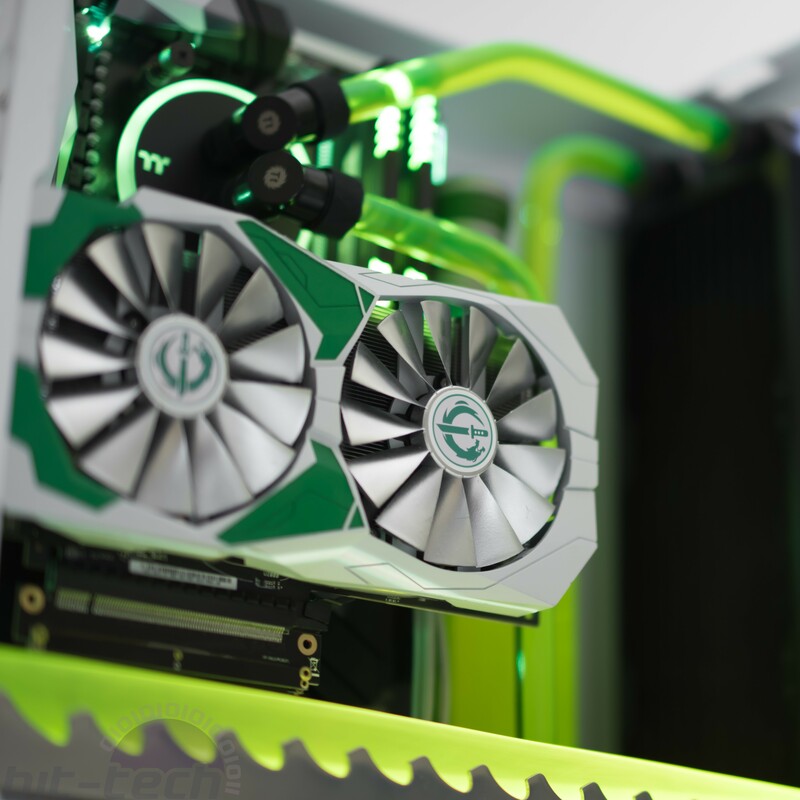 Not only are the radiator fans RGB, but so are the reservoir, motherboard, GPU, 'Dragonblade' decal (limited owing to the default green construction), CPU waterblock, and PSU! We've set these to a fetching green to be in keeping with the theme of the character, but you can customise it to whatever you wish, or off if you're boring. The water-cooling comes courtesy of Thermaltake, and with a beefy 360mm copper radiator for the CPU you should be able to stay cool on even the hottest days. 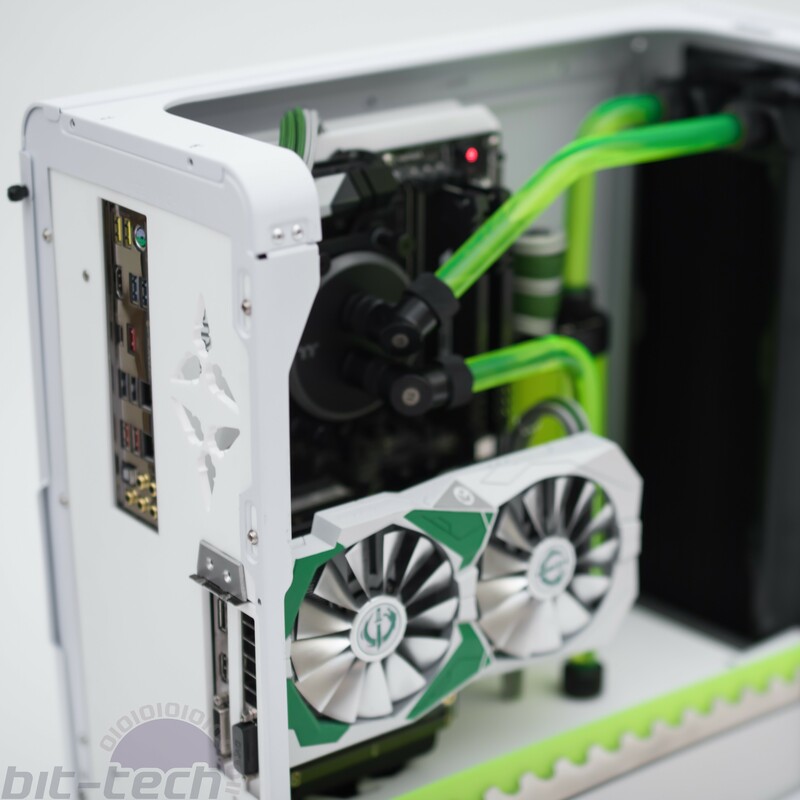 Since yearly maintenance is very much an important factor with a water-cooled system, the build features a drain port under the PSU shroud along with pump speed access for easy refilling. Shipping limitations mean we can only offer this to our UK audience - sorry everyone else! If you're UK-based, though, then in order to be in with a chance of winning this system, all you have to do is answer the question below. You can also gain an extra entry into the competition by liking our Facebook page within the form below. The competition winners will be picked at random from all eligible entries that arrive by midnight of the closing date, April 15th 2018. Only one entry is permitted per household per bit-tech entry form; second Facebook entries, if applicable, are permitted. Duplicate entries on either form will result in disqualification. The winners will be notified via email by April 16th, 2018. The winners must claim their prize within 7 days of the promoter sending notification. If any prize is unclaimed after this time, or if you have entered from outside the UK, bit-tech reserves the right to offer the unclaimed prize to a substitute winner selected in accordance with these rules. 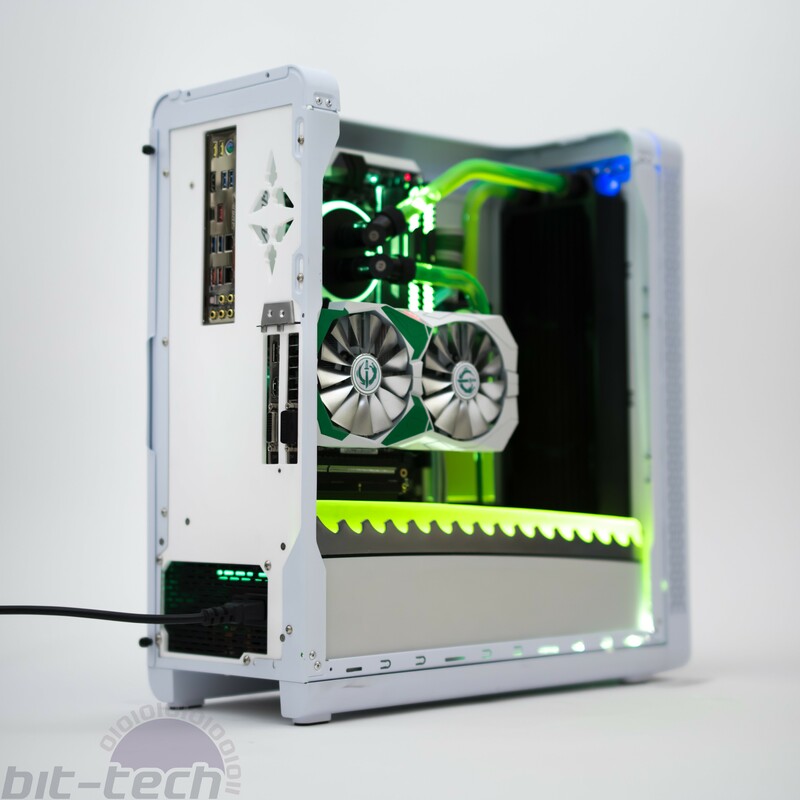 The winner will be eligible for one custom-built and modded system, as detailed above. If the exact specification is unavailable due to circumstances beyond our control, we reserve the right to offer an alternative prize of equal of greater specification. The prize will ship to winners within 45 days of prize acceptance, though we aim for much sooner. The prize will ship in a custom-made flight case on a pallet to maximise component safety. Neither bit-tech nor its employees, sponsors, affiliates, agencies, or suppliers will be held liable for damage to any part of the prize that occurs as a result of shipping. The prize does not include component warranties.